“I can’t see anything,” I shouted to a kayak disappearing into darkness on an especially black night. On the horizon, lightning shattered from storm clouds gathered over the Gulf of Mexico. It was the Night of the New Moon that would usher in “Día de los Muertos” – All Souls Day. There was something spiritual – ghostly even – on the sea at that late hour. I felt excitement with a twinge of trepidation. About a half-mile offshore I wondered quietly to myself if there were sharks in these waters. Then, suddenly, “Put your hand in,” the kayak in front shouted back. As I dipped my hand into the murky wake of the kayak it instantly lit the water on fire. Thousands of tiny sparklers like firecrackers bursting beneath the surface scattered around my hand rendering it awash in neon light. I reached further down. Thousands – millions perhaps – of tiny phosphorescent particles swarmed across my arm. What spirit had conjured this phenomenon, I wondered. 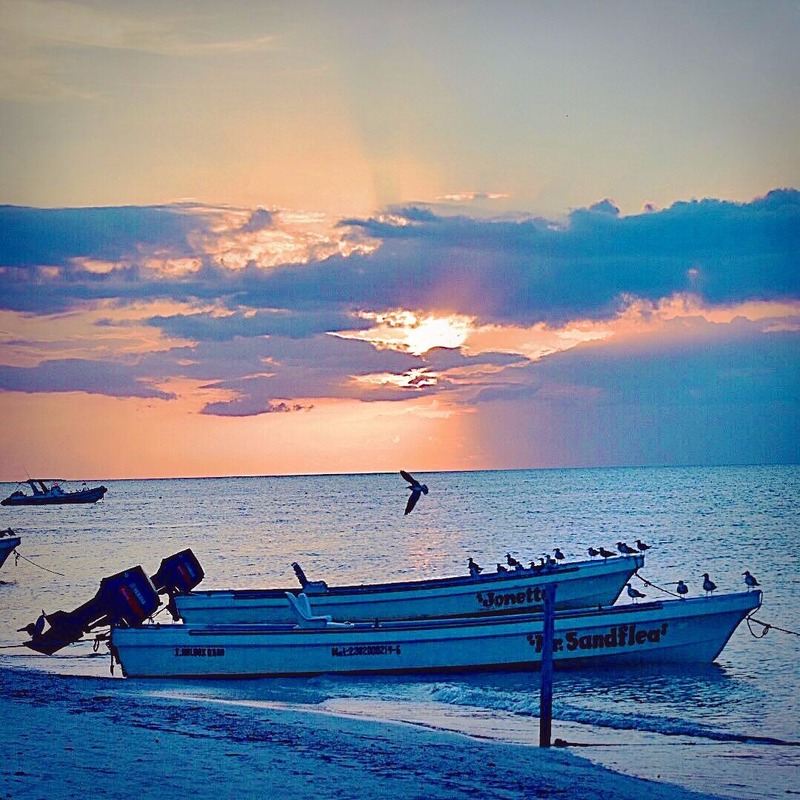 “This is the magic of Holbox,” said the guide. Isla Holbox is perhaps most famous for a phenomenon called the “afuera aggregation” which, outside marine biology circles, refers to the largest migration of whale sharks anywhere in the world. In season, tour operators across the island organize trips by boat or kayak for visitors to swim with the largest fish in the sea. But, when I arrived, whale shark season was more than a month gone. That being the case, I was instead recommended to take a tour by kayak to experience another phenomenon unique to Holbox: the bioluminescence. The bioluminiscence. Photo by Billy Huynh on Unsplash. 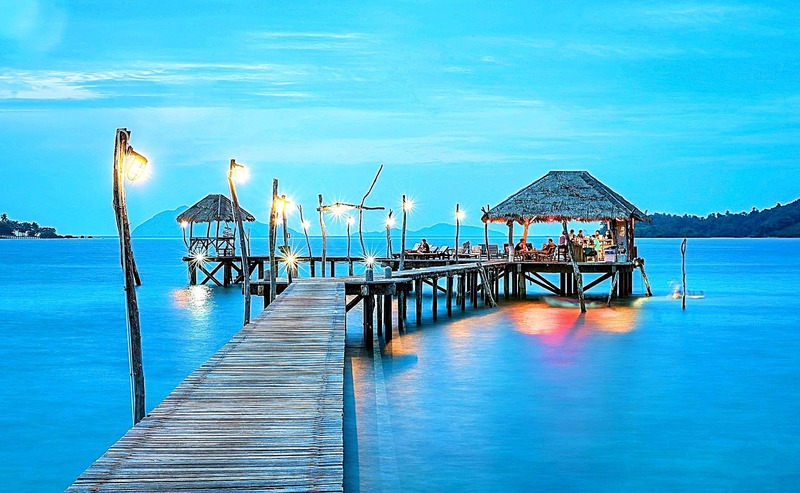 In the past I had heard stories of beaches in Puerto Rico or Thailand where one could see the bioluminescence― particles of shimmering, neon light that wash ashore but are quickly extinguished. Nobody I knew had actually witnessed this, however, so I assumed it was an urban travel legend. I therefore remained dubious as to what could actually be seen with the naked eye, having been tricked by lush photography of the aurora borealis in Iceland several years back. But, with an affable local guide named Arnoldo leading the way, we launched two kayaks into the warm ocean water under the cover of darkness and set out in search of the lights. For a short while we paddled along the shore, bathed in the glow not of bioluminescence, but of the lights from the hotel properties that dotted the coast. As we pointed the kayaks due north – straight out into the vast expanse of the Gulf of Mexico, I began to wonder if this was a good idea. We paddled for about 30 minutes even further into darkness. Arnoldo was several yards ahead and I feared I might lose him entirely as I squinted to make out his white polo shirt in the distance. Finally, we arrived to a spot where Arnoldo suggested we park our kayaks and place our hands in the water. As I slid my fingers slowly into the sea they immediately sparkled a type of bright yellow light you might expect from thousands of miniscule fireflies jetting in all directions just below the surface. At first, I was not quite sure what we were seeing. 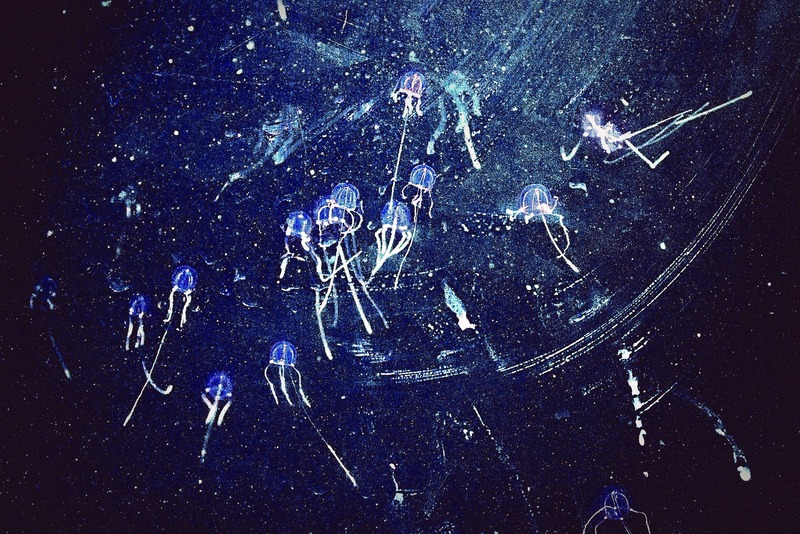 Arnoldo explained that the effect was caused by a unique variety of plankton that, when oxygenated through movement, created a temporary luminescent effect. If I moved slowly, I could see the individual flagella appearing like bright embers no greater in size than the head of a pin. Rapid motions produced a blur of solid light that lasted for only a few seconds but contrasted sharply with the darkness of the night. Arnoldo, to my surprise, hopped out of the kayak and it was then that I noticed we were in water only about waist-deep even though it seemed we were far offshore. We were hovering above a long sandbar spread out in the middle of the bay. As we jumped in, the bioluminescence took charge around our legs and feet. Fish swam by and they too became incandescent streams of light jetting through the void. “This is incredible!” I yelled to Arnoldo. “I don’t just take you to the bioluminescence, I take you in the bioluminescence,” he replied proudly. We spent close to an hour just floating – looking at the effect from various angles above and below the water. We attempted to devise new ways to showcase the light show and made “bioluminescent sea angels” by lying in the water on our backs the way children play in snow drifts. I looked up from the water and absorbed my surroundings. Something about the sea at night has always frightened me. The idea of being lost, floating on a life raft or clinging to a piece of debris through the long night as waves tossed about has always seemed to me to be the most terrifying prospect that could befall a man at sea. Yet somehow, here, I was unafraid. Quite the opposite – surrounded by the light I felt a sense of total peace. It was more spiritual than anything I had ever experienced in a house of worship. Arnoldo lit a smoke while we talked about life, nature and the changes that had come to Holbox in only the five years since he’s lived on the island. He fears for the future and what additional development and tourism might bring. Last year he helped organize one night – the first annual Bioluminescent Festival – where every hotel on the beach turned the lights off for an hour so everyone could partake in this wonder of nature. With the wonder of social media, however, it had the unintended consequence of drawing out hundreds from the mainland who camped out on the beach in anticipation of the big event. “You can imagine the mess they left behind,” he said woefully. Isla Holbox has the power to bring travelers back to life as well – but only for as long as it can hold onto its identity and nature. It has the power to heal and to transform. For adaptable travelers, now is the time to absorb its magic before it fades away like the ephemeral light of its bioluminescent sea.